Brainwave entrainment is a way to train the brain to synchronize to a certain frequency, such as gamma, beta, delta, theta and alpha. Each frequency matches a certain state of consciousness. For example, delta is the brainwave dominant while in an unconscious state such as sleeping; while theta and alpha inspire relaxation and help get away from our beta state of consciousness that, at a higher frequency, promotes stress and anxiety. Listening to lower frequencies such as delta and theta is beneficial during meditation and could help reach a higher mental state. 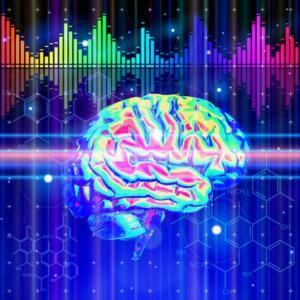 What Are Gamma Brain Waves? Gamma waves are present during the waking process and REM (rapid eye movement) sleep. They are the fastest documented brainwave frequency range. They oscillate within the range of 40 Hz to 70 Hz and have the smallest amplitude on an EEG when compared to the other four basic brainwave frequencies. How much use is too much use of the PandoraStar? PandoraStar is intended to be used for recreational and research applications only and is not designed, sold or intended to be used as a medical device as defined in EU Directive 93/42/EEC, nor is it intended to be used for treatment of disease. PandoraStar shall not be liable for any use other than pure recreational and research applications. PandoraStar has been EC tested and certified.